The almost panic-like plunge in US equities easily spilled over into the energy complex, sending WTI crude prices $1.78 down to $97.66. In addition, the result of the previous day's inventories report undoubtedly played its part in the background, as it showed that demand for gasoline had slipped on a stronger dollar. In a sign of potential trouble ahead, gold dropped $13.6 to $1,281.5, a level last seen on 19 June. 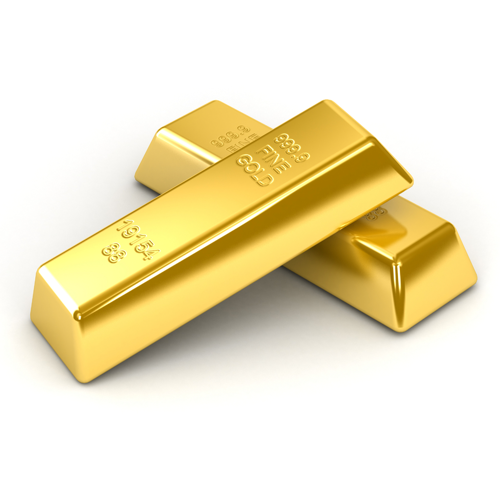 After rising 10% in the first quarter of 2014, the precious metal is now slowly but surely giving back those gains as positive US economic data out muscles the heightened geopolitical tensions. We saw a sharp sell off in WTI crude yesterday, with the market falling back into double digit territory at $99.44 per barrel, a $1.76 loss for the day. The main culprit was the Department of Energy's weekly oil inventories report which showed a fourth consecutive rise in gasoline stockpiles on the back of shrinking demand. Signs that the pace of US economic growth is gaining momentum hit gold prices yesterday, with the precious metal dropping $3.5 to close at $1,295.3. Investors seem to be largely ignoring the geopolitical risks for the moment and only revert to gold temporarily when the mood strikes them, focusing instead on economic developments. A stronger dollar and plunging equities took their toll on the energy complex yesterday, pushing WTI crude $0.59 lower to $101.02 per barrel. The oil markets were also kept under pressure by reports of expanding gasoline stockpiles. Gold prices rallied during the morning trading session on safe haven demand following an escalation of the conflict in the Gaza Strip. However, investors' focus was quickly drawn to the US where economic data surpassed expectations and changed the mood regarding the precious metals. The gold market ended $5.9 lower at $1,298.8 and doesn't seem to have reacted to the fresh bout of US/EU sanctions against Russia. Despite sectarian violence rising in the Middle East in countries like Libya and Iraq, crude oil output seems have been largely uninterrupted. That almost minimal impact on oil supplies has maintained downward pressure on crude prices, with WTI losing $0.30 yesterday to reach $101.58. Gold rallied in early trading yesterday on the back of increasing violence in Gaza and Ukraine, only to give back those gains towards the close, ending $3.6 in the red at $1,304.5. The precious metal is looking more and more out of favour with investors and the trading world is becoming more complacent with conflicts that have been around for some time.